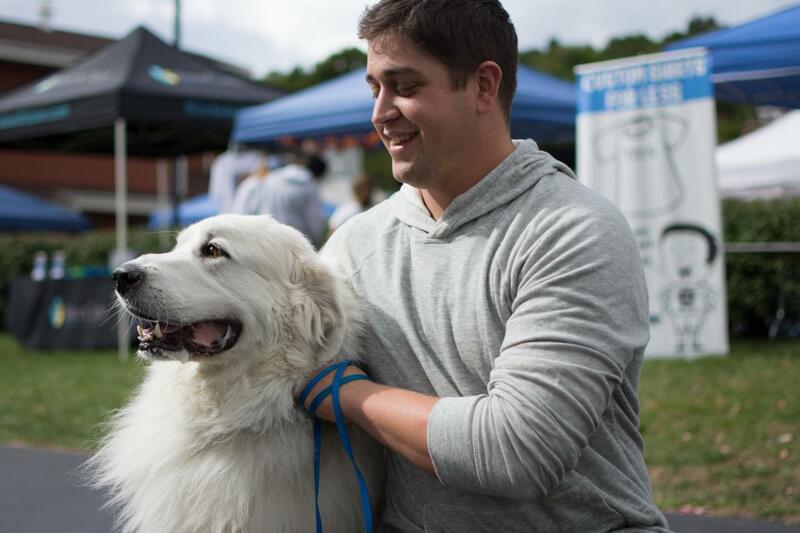 Kieren Murphy poses with his Great Pyrenees Baloo at the Barktober Fest Walk for the Animals at Lollypop Farm in Fairport, N.Y. on Sept. 24, 2016. 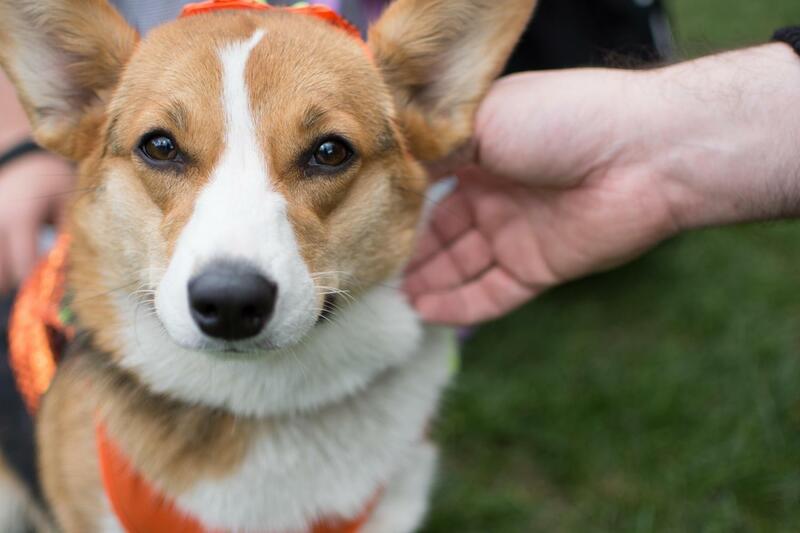 Alice the Welsh Corgi poses with owner Liz Canipe at the Barktober Fest Walk for the Animals at Lollypop Farm in Fairport, N.Y. on Sept. 24, 2016. "We’ve done the walk for four years now,” Canipe said. 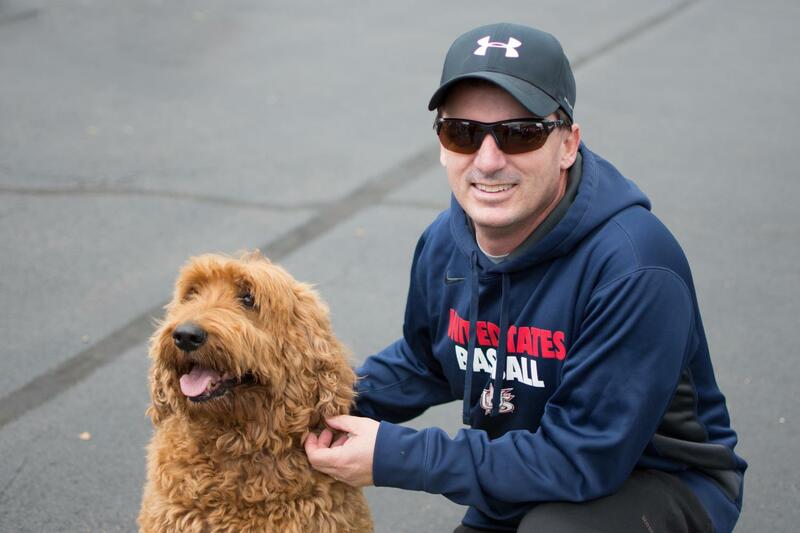 Dan Cullen poses with his dog Misty at the Barktober Fest Walk for the Animals at Lollypop Farm in Fairport, N.Y. on Sept. 24, 2016. 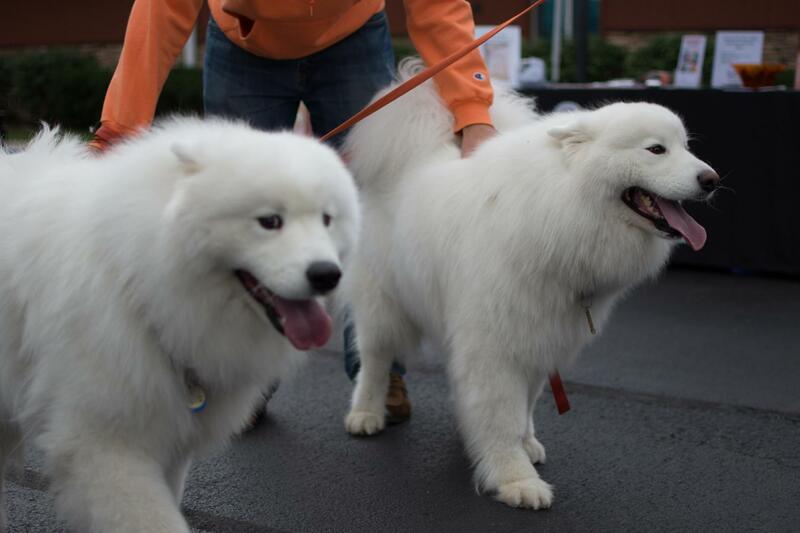 Will Mitchell with his Samoyeds Finley and Tolstoy at the Barktober Fest Walk for the Animals at Lollypop Farm in Fairport, N.Y. on Sept. 24, 2016. 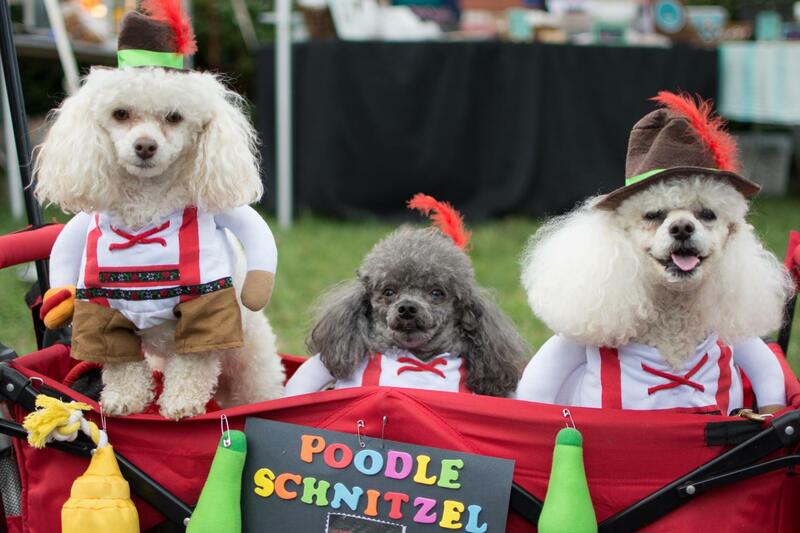 Poodles dress up at the Barktober Fest Walk for the Animals at Lollypop Farm in Fairport, N.Y. on Sept. 24, 2016. 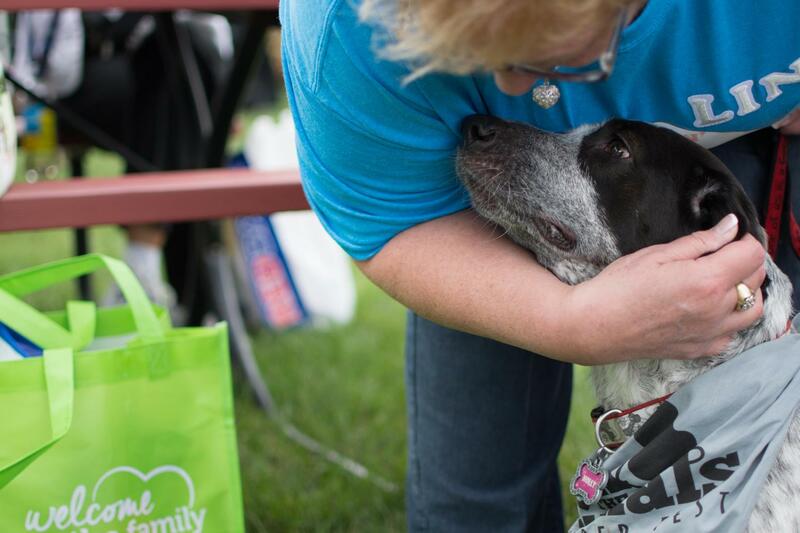 Linda Schnieder with her dog Molly at the Barktober Fest Walk for the Animals at Lollypop Farm in Fairport, N.Y. on Sept. 24, 2016. 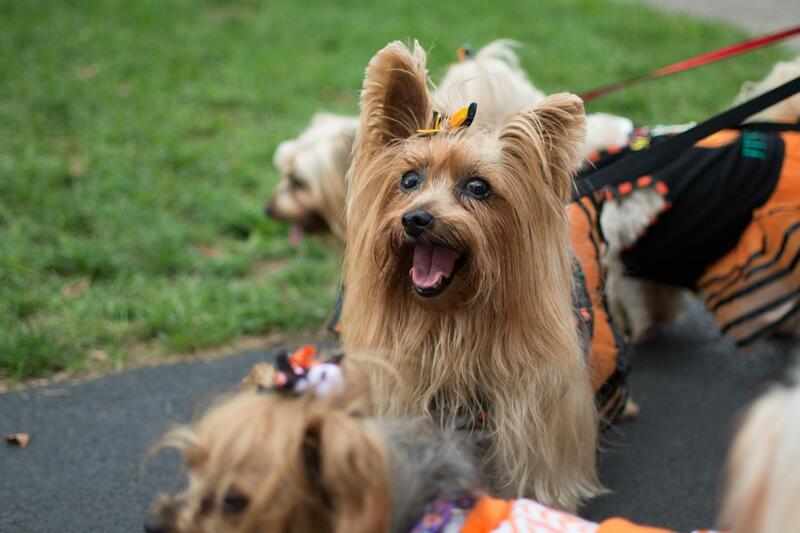 Honey the Yorkshire Terrier owned by Nancy Cullens at the Barktober Fest Walk for the Animals at Lollypop Farm in Fairport, N.Y. on Sept. 24, 2016. Participants attend the Barktober Fest Walk for the Animals at Lollypop Farm in Fairport, N.Y. on Sept. 24, 2016. The weather may have been chilly and damp, but crowds of people were still lining up en masse with their four legged friends. Some were getting ready to walk while others patronized the many booths that littered the area. 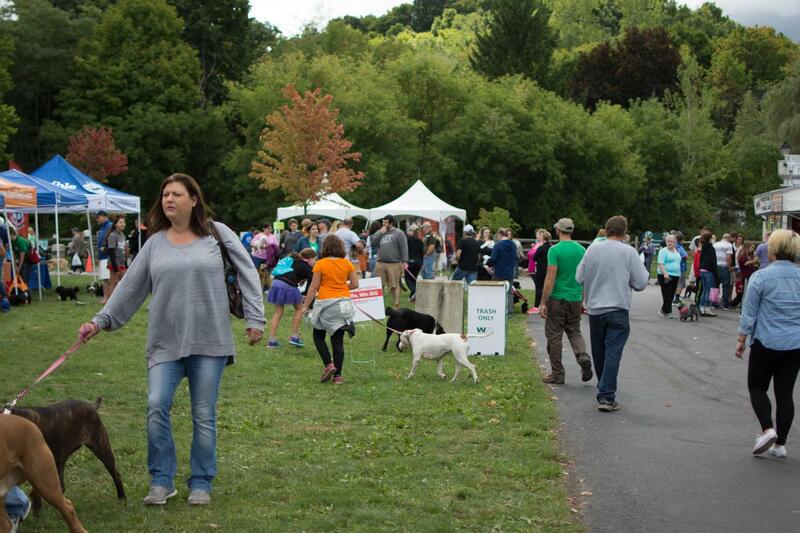 This wasn’t just any dog walk; this was Barktoberfest. Run by Lollypop Farms, Barktoberfest is an annual dog walk and festival meant to raise money for homeless and abused animals throughout the greater Rochester area. The event consisted of a 1.50 mile dog walk as well as a festival area, with sponsor tents and dog centric activities. As noble as this cause is, the dogs were just happy to be there. The sheer variety of dogs — be it age, size or pedigree — was astounding. Some of these dogs were rescues, like Heidi and Chloe escorted by owner Tom O’Neil. Heidi is visually impaired, but otherwise healthy and happy. Chloe’s impressive stature belied her skittish nature.  “[Chloe] is a Russian Wolfhound. It sounds so scary, yet she’s scared of chipmunks,” said O’Neil. The impact of Lollipop Farms was felt throughout the event. Though festivities end and fade from memory, the need for financial support is constant and Lollypop Farms is always accepting donations; They need to be able to afford shelter, medical care and general care for their animals. So instead of buying that stupidly expensive coffee-adjacent drink, throw some cash towards Lollypop Farms and make a difference in the community. Hey Cutie, Come Here, What's Your Number?